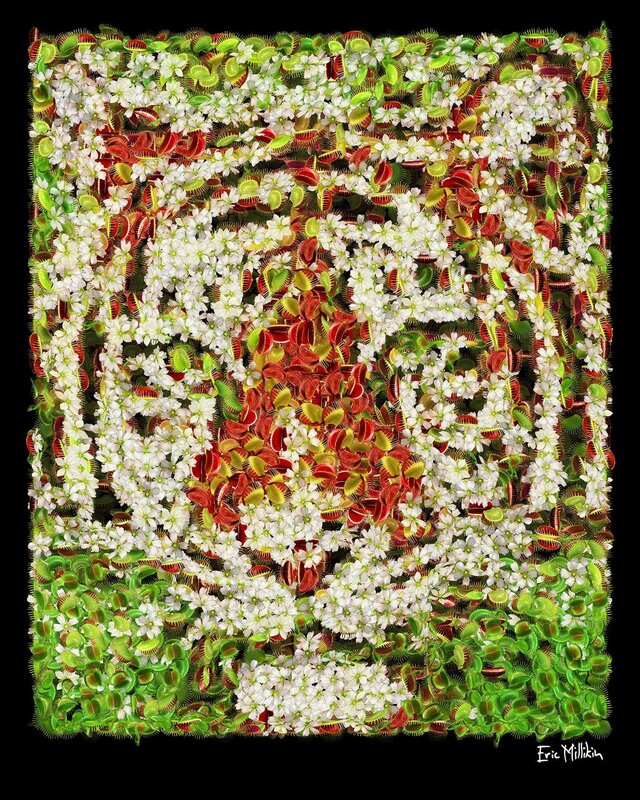 Danger beasts is a series of portraits of endangered animals created with endangered plants. The plants I am using are from my venus flytrap breeding program and tissue culture lab. 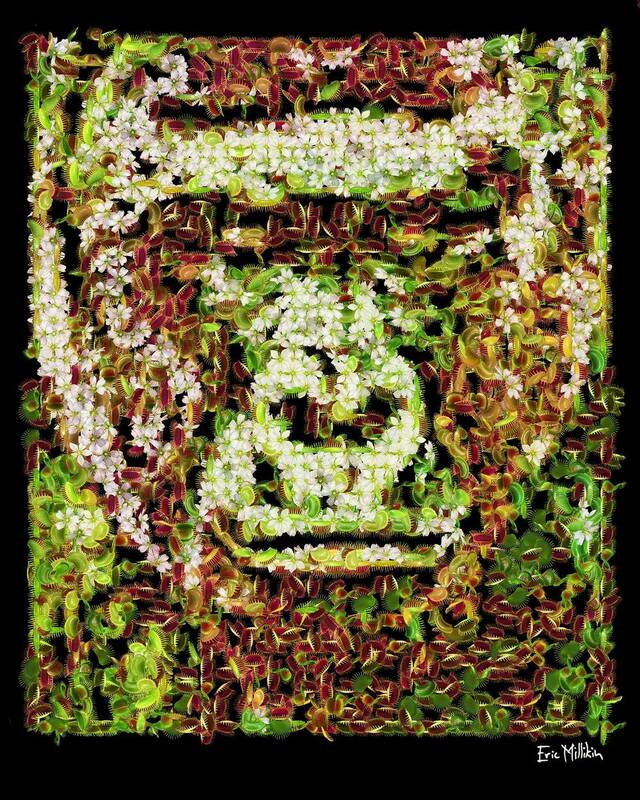 I am pleased to introduce you to my portrait of "Koko," the 46-year-old female western lowland gorilla who has learned about 1,000 sign-language hand signs. Sumatran tigers are critically endangered, with fewer than 500 believed to exist in the wild. In the past century, four of nine tiger subspecies have gone extinct in their natural habitats. Baha successfully raised five tiger cubs while at the Sacramento Zoo before she died in February 2016 after a fight with another tiger, Mohan, a potential mate. Big thanks to Canvas Pontiac and the Detroit Institute of Arts for helping me take my "Danger Beasts" to new heights. "Danger Beast: Baha" won first place. 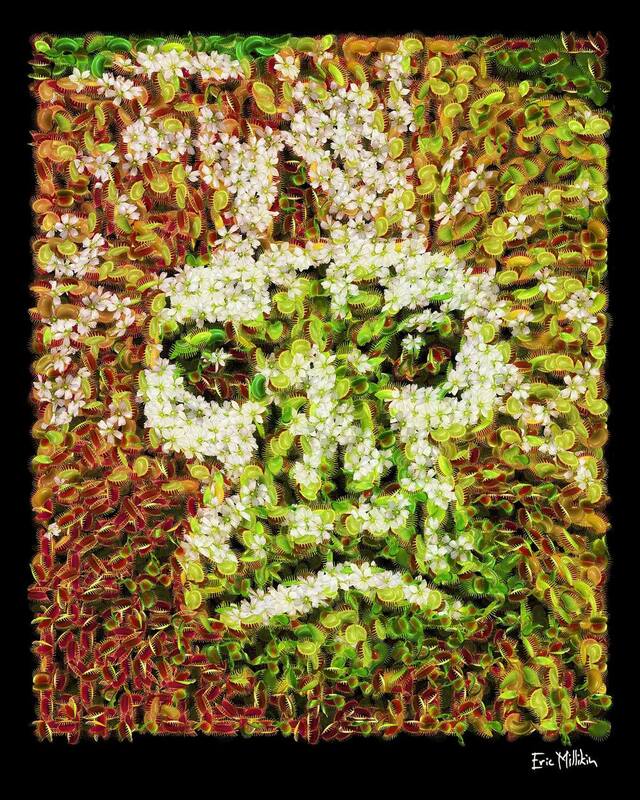 "Danger Beast: The Golden Snub-Nosed Monkey"
Kimie was one of the first rescued chimpanzees we collaborated with in creating artwork for Monkey Day. She died in 2011. 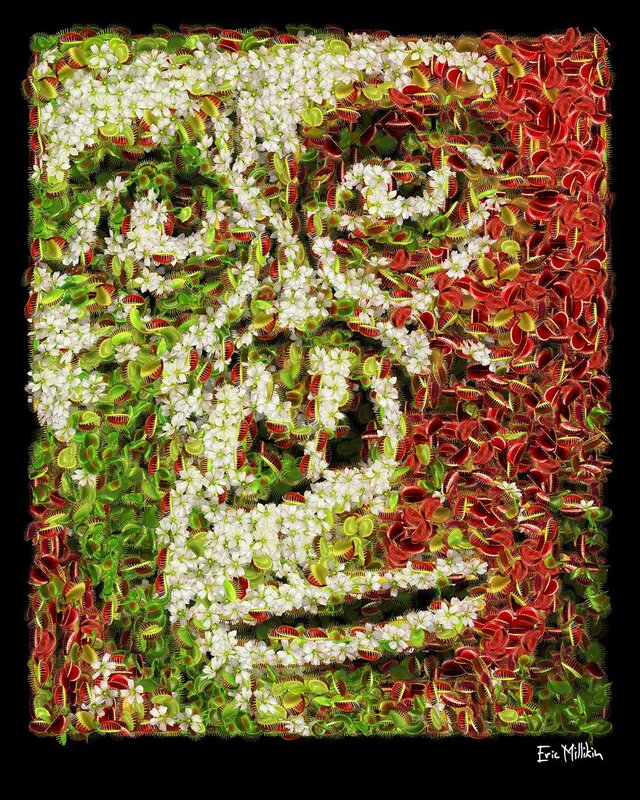 Buy a print of "Danger Beast: Harambe"
Portrait of Harambe, the endangered gorilla shot and killed at the Cincinnati Zoo, made out of endangered Venus flytraps. This was shown at the Studio Door gallery in San Diego, with a portion of proceeds going to the San Diego Zoo for wildlife conservation. "Danger Beast: Golden Lion Tamarin"
Public art installation in Royal Oak, MI. November 6, 2017 by .